Does my dining table have an insect infestation? A: From your description, it is likely that the table has the powderpost beetle (PPB) in it. This is the only insect that affects dry hardwoods. In most of the U.S., it is the lyctid PPB. This PPB only likes grainy hardwoods. However, if you used or if the wood in the table had contact with foreign woods, it could have another PPB and some of these like softwoods (conifers) as well. It is not unusual to see the PPB make these holes a year or two after the wood was orignally infected. Although you see only one hole at this time, there can be substantial insect activity inside the wood, weakening the wood eventually. Prompt action is suggested to stop the insect activities. You should also consider evaluating the table to make sure it has not been weakened substantially by the insect activity. As the insects are inside the wood, spray on the outside will not work to control them. Plus, spraying the wood will leave a potentially harmful chemical on the surface that would not be safe for human or food contact. A simple cure would be to heat the table to 135F inside the wood. This heat will kill an insects and their eggs. The air temperature during this heat treatment will have to be around 150F. With this high heat, you might dry out the wood, so it is best to do this heating in a tightly closed environment with some wet towels, or other water source, nearby so that the humidity does not drop. Be safe with any heating source. Many times, heating is not an option, so commercial fumigation will also work. However, the gas used for fumigation is very toxic, so it is not a DIY project. Fumigation of the infected piece can be quite expensive, but it is 100 percent effective. The hole your customer sees is an exit hole. One of the insects has left the wood and is now looking for a mate. If mom and pop unite, then the pregnant female, if she is a lyctid PPB, will look for a grainy, coarse textured wood, like oak or ash, to lay her eggs. 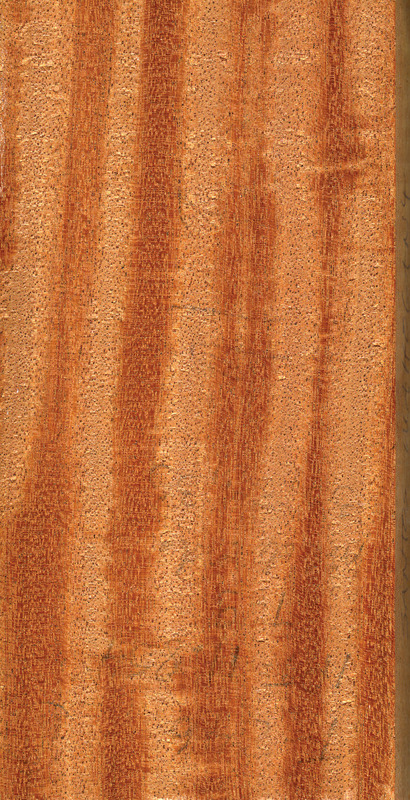 Wood with a smooth finish cannot be used. So, it is not likely that the infestation can spread, as the chances that mom and pop will meet is slim, and most of the furniture, cabinet and flooring hardwood is finished with varnish, lacquer or wax so egg laying locations are not plentiful. It would be a concern that other wood processed at this same time may also be infected. For future prevention of these problems, always store kiln-dried wood apart from non-KD wood. Keep the storage area free of debris. Never reuse 4x4s or other wood spacers as they can transfer the insect easily. 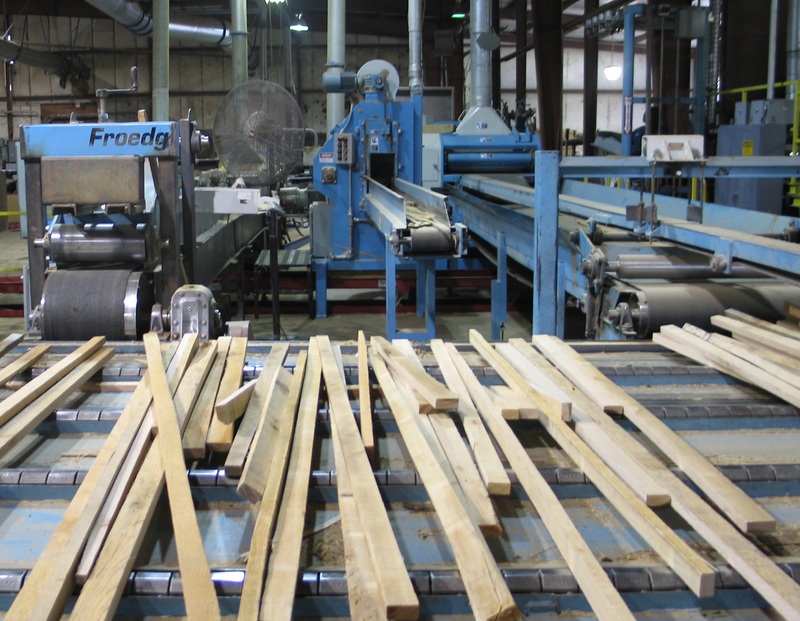 If you use foreign wood, keep this wood separate from the U.S. woods. It is not uncommon to find foreign wood with PPB infestations. In fact, you may want to take steps to assure that foreign wood is insect free. Because of the delay between egg laying and then the exit holes appearing, it is difficult to visually determine if wood is infected. However, we know that kiln drying will kill the insects and their eggs, so all KD wood should be free on the insect unless it was exposed to infected wood after drying; in other words, proper lumber storage is important.